NEW! 20 all-new and 40 upgraded aircraft models featuring more detail and higher resolution textures. NEW! 312 new and updated aircraft liveries, bringing the total number of aircraft variants to 2,420. All the aircraft from Traffic X and the three Traffic X PlusPaks are included! NEW! Improved detailed animations such as flaps, landing gear, and animated passenger doors on turboprops and small range jets. Turboprops and small jets that do not use the terminal docking jetways are equipped with steps. NEW! For the first time in the Traffic series we have included custom airport ground traffic in five world regions, including baggage loaders, baggage trucks, pushback tugs, fuel trucks, and police and service vehicles. NEW! 29 custom sounds for AI aircraft, including reverse thrust on the appropriate aircraft. NEW! Features the most realistic flight schedules ever! The data is from real-world flight schedules covering the entire globe and over 612,000 flight plans are included for international, national, regional, commuter and cargo flights. NEW! The enhanced Traffic Control Centre (TCC) lets you apply ChronoTraffic to individual flight plans as well as aircraft and provides the option to select only certain schedules (Military 2012, Summer 2012, Winter 2010, Spring 2012, Summer 2007 and VFR Traffic). Traffic Control Centre (TCC) lets you easily customise and expand your AI traffic. Traffic Editor has improved flight planning and greatly enhanced traffic generation features to allow you to easily create new traffic, whether randomly generated traffic or detailed scheduled connections as in the real world. The Editor lets you set up one-way flights and compile flights by region. Correct identifiers - all flights use their correct aircraft/airline identifiers and tail numbers according to the country of origin. ChronoTraffic - AI time period selection feature. Every Traffic 360 AI aircraft and flight can now be set to be only operational during a user-defined period of years. In the traffic database you can easily select the year or range of years in which you want the aircraft to appear. This flexible feature means that you can easily see older aircraft such as Concorde or out-of-service airlines, or up-to-date traffic or even future aircraft chosen from the included Traffic 360 aircraft fleets. Flyable aircraft tool – allows you to make the Traffic 360 AI aircraft flyable (generic cockpits and flight models employed). Driveable Follow Me car and pushback truck - you can explore the airport from the ground. 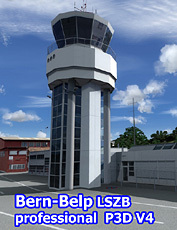 Spotty, the plane spotting feature, and the unique Control Tower view let you watch aircraft as they are land, taxi, park and depart as well as listen to their ATC communications. Custom sounds to replace the generic FSX default sounds - a total of 29 different sound sets, recorded from real aircraft, provide more variety and more realism thanks to special take-off, landing, thrust reverser sounds and many more. Hear the typical take-off sound of an Airbus 321 or the noisy thrust reversers of a landing Tornado – Traffic 360 is an immersive experience for all the senses! Traffic 360 includes many new and improved custom aircraft models featuring advanced and improved animations, providing high quality models while reducing the impact on frame rates. Aircraft take advantage of the advanced FSX animation features at airports such as baggage handlers, docking jetways and pushback tugs. These service vehicles will service AI aircraft when they park and, when they are ready to depart, the pushback tug will push the aircraft back off the stand (only operates at stands enabled for this feature by default in FSX). AI aircraft have numerous detailed animations including animated control surfaces, landing gear, propellers, control surfaces, jet engine fans and doors.